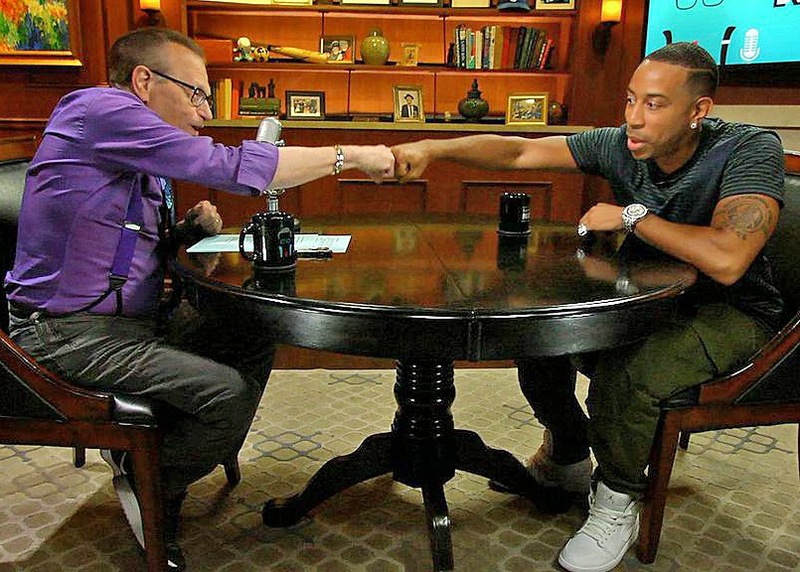 Rapper, actor and entrepreneur Chris 'Ludacris' Bridges sat down with Larry King on the Emmy nominated series “Larry King Now” to talk about 'Furious 7,' the passing of friend and co-star Paul Walker, his new album 'Ludaversal' and his early days working the graveyard shift as a radio DJ. Lastly in the interview, Larry King and Ludacris found out they were both radio DJ's with graveyard shifts early in their careers and how a lot of people aren't necessarily what they seem over the radio. Ludacris admitted, "There’s a lot of crazy people calling up with a lot of freaky tales and a lot of crazy stories."